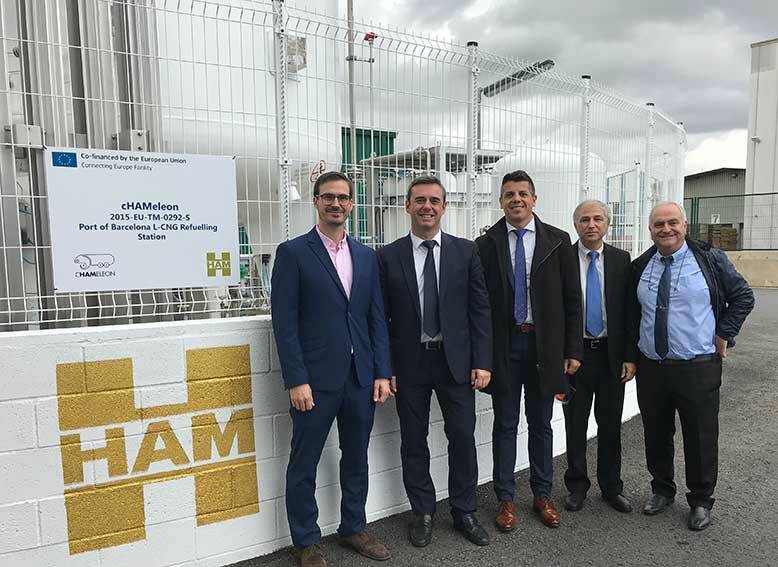 HAM, Port de Barcelona and GALP have presented today the first natural gas station of the state port system, a key facility to promote the use of natural gas as an alternative fuel for land transport of goods. The event was attended by the Marketing and Strategy manager of the HAM Group, Antoni Murugó Solé; the president of the Port of Barcelona, Mercè Conesa; the Environmental manager of the Port, Jordi Vila; the commercial manager of Gas & Power of GALP, Fernando Martín-Nieto Vaquero. The gas station is located into the GALP service station on the Y Street in the Port of Barcelona and is the result of the agreement between HAM, in charge of the construction and operation of the LNG station, and GALP, which has carried out the improvement of the facilities. In addition, its construction has been financed by European funds, through the CHAMeleon project, aimed at developing the gas supply infrastructure as vehicular fuel in the Barcelona-Slovenia land corridor. The new facility has two compressed natural gas (CNG) pumps for trucks and vehicles, two liquefied natural gas (LNG) pumps for trucks and a cryogenic LNG tank of 60 m3 capacity. In the port area it is estimated that around 2,200 trucks transport goods to various destinations and origins of the area of influence (hinterland) of the Port. Currently, more than 60 trucks are powered by natural gas, either with dedicated engines (that work exclusively with gas) or with dual engines (which combine the use of diesel and natural gas). Of these, 26 trucks were transformed into the dual system thanks to the RePort project, led and coordinated by the Port of Barcelona with the support of ACCIÓ. 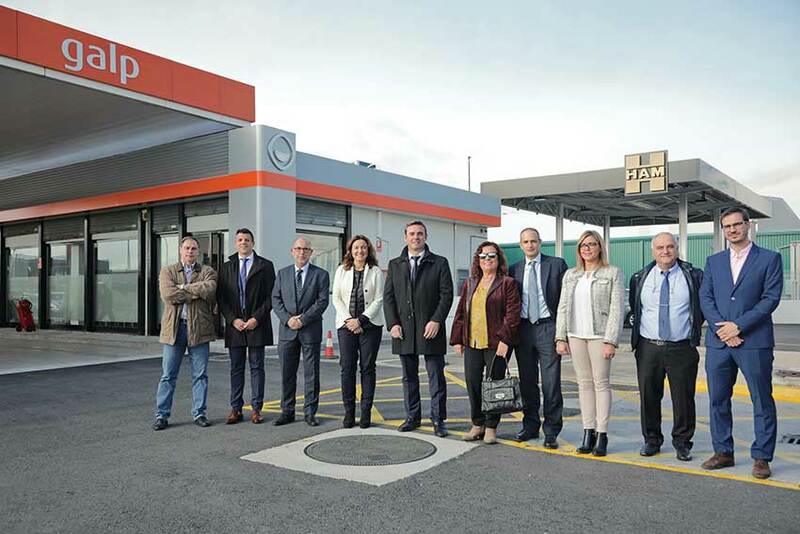 Likewise, “this gas station is a key element to guarantee the supply of natural gas to the trucks operating in the Port area, to promote the use of this alternative fuel and, ultimately, to improve the quality of the air we breathe”, stressed Conesa. The commercial manager of Gas & Power of GALP, Fernando Martín-Nieto Vaquero, explained how the newly inaugurated installation is “one more step” within the GALP transversal sustainability action plan. “GALP’s commitment to combat climate change pivots on three axes: reducing emissions associated with fuels; promote energy efficiency and the incorporation of renewable energies; and actively participate in the development of sustainable mobility solutions”, Martín-Nieto stressed.